Enjoy $50 OFF Botox During the Month of April! By scheduling a Botox treatment this month, you’ll not only enjoy $50 in instant savings but will qualify to receive $50 off one or more subsequent Botox treatments! * In fact, you can save up to a total of $860 during the next 12 months by taking advantage of this entire offer! * With savings like this, what are you waiting for? Call 417-206-4884 to schedule an appointment today! *Botox treatments must be received in regular intervals every 3-4 months, beginning April 2019. Certain restrictions apply. Call (417) 206-4884 for complete offer details. 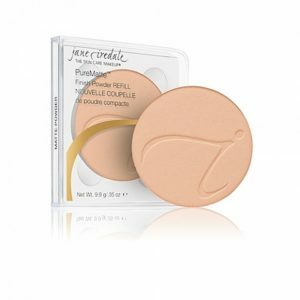 50% OFF* select Jane Iredale lip & eye colors. *Discount only applies to in-store purchases. Call 417-206-4884 today for availability and to make an appointment. Begin a medically managed Weight Loss Program! By starting now, you’ll feel much more confident about your appearance in just a few weeks. We dare you to dream big (no pun intended.) Maybe you’ll decide to break out that swimsuit you’ve not worn in years. Want to feel great about wearing a little black dress to a special event or function? Whether you dream about these things or not, one fact is certain: We all know the benefits of maintaining a healthy weight and lifestyle. Everyone needs a little support from time to time. This is one reason Derma-Tech offers a medically supervised Weight Loss Program. Our goal is to help you achieve a healthy weight so you can look and feel fabulous! Take the Next Step Towards a Healthier You! 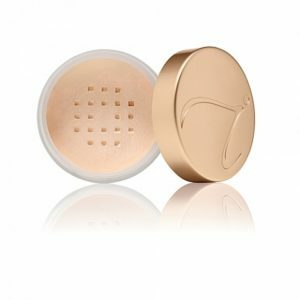 Treat facial sun damage and age spots. You can look 10 Years Younger with IPL (Intense Pulsed Light) Treatments! We’re not kidding! According to recently released results of a 10-year study by California’s Stanford University, IPL photofacials not only repair signs of aging, but help to prevent future signs of aging as well. Researchers found that just 2-3 Photofacial treatments per year can restore the gene expression of aged skin to resemble much younger skin. In fact, in photos of study participants, many had younger-looking, smoother and more even-toned skin a decade later than when they began treatments. Call today for a complimentary consultation to see if IPL is right for you. Full Face – $375 per treatment. Save on a 5-Session Treatment Package – Only $1,500! *Offers valid through 4/30/19. Call for more details.